LocalOrg: What's Really Behind Assault on Tesla Factory "Safety?" 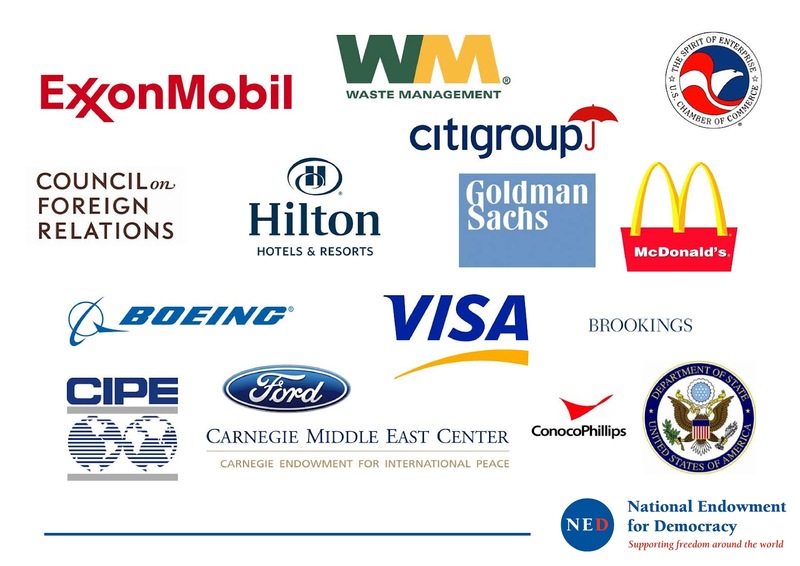 The National Endowment for Democracy represents some of the largest, deepest entrenched corporate financier interests on Earth, including big-oil and big-auto. The conflict of interest - even at face value - should be prominently featured in any and all news regarding UAW's growing row with Tesla. Yet it is not. Image: Big-oil and big-auto are both well represented by NED's corporate sponsors and chairpersons. That its affiliates through the AFL-CIO and UAW are applying pressure on up and coming competitor Tesla is precisely why NED and its network of faux rights and labor advocacy fronts were created for. The UAW specifically is listed throughout the NED's various international programs as being in direct cooperation with NED in supplanting and dominating foreign labor movements. Just as NED exploits and abuses human rights advocacy to advance US special interests across the globe, it uses AFL-CIO and faux-unions like UAW to exploit and abuse labor issues to hide its self-serving agenda behind. Key to the success of such schemes is complicity across the corporate media - which goes far in explaining why obvious conflicts of interests regarding UAW and entrenched big-auto corporations are never mentioned in corporate media reports. Undermining a relatively independent, disruptive company like Tesla by leveraging alleged labor concerns is par for the course regarding AFL-CIO and UAW - and is in fact why fronts like NED, AFL-CIO, and UAW were created for in the first place. While labor issues are a legitimate concern upon every factory floor on Earth, attempts to address them must be done in a transparent and honest manner via legitimate and independent third parties. 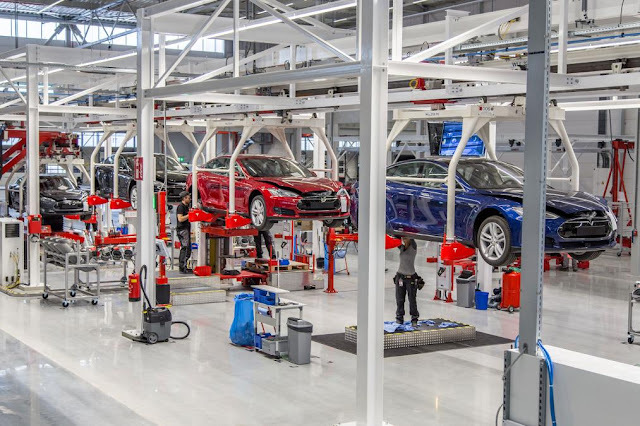 The AFL-CIO and UAW attempting to push labor issues regarding Telsa, and even attempts by both to create a "labor union" at Tesla are neither legitimate nor independent. The UAW - a faux-labor union created by and for the very special interests organized labor is supposed to serve as a check against - would be comparable to Elon Musk creating a labor union at a General Motors or a Ford factory. Wider public awareness of both this current attempt to target Tesla, and the wider corruption, exploitation, and abuse of labor advocacy by AFL-CIO and UAW will help remove this insidious tool from the hands of special interests and place labor advocacy back into the hands of the workers where it belongs.